Looking for Corporate Golf Products? Quilchena's Golf Shop is proud to offer this service to our members here at the Club. Plenty of options from logo'd golf balls to clothing and golf equipment. Great thank you gifts for corporate clients and remember, Christmas, etc. A userful, quality gift that reflects your corporate brand. Buy local. 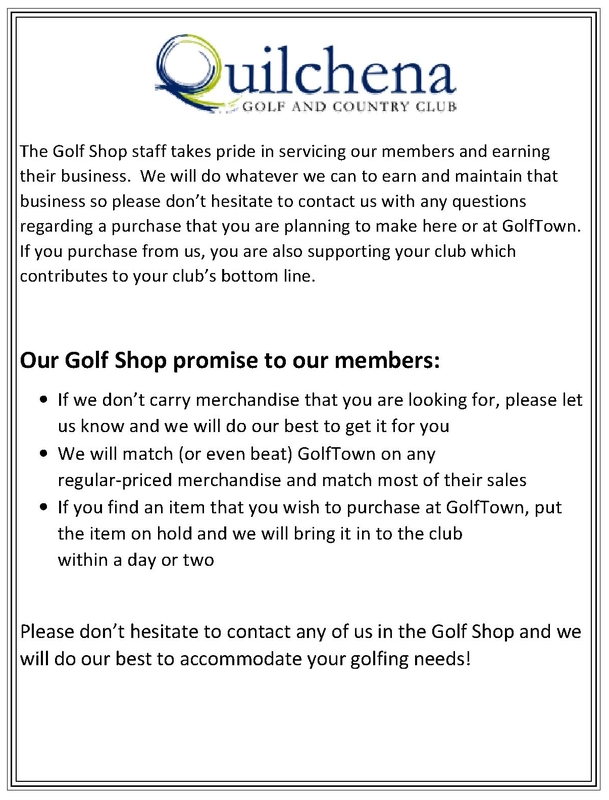 Support your Golf Shop, at your Club!